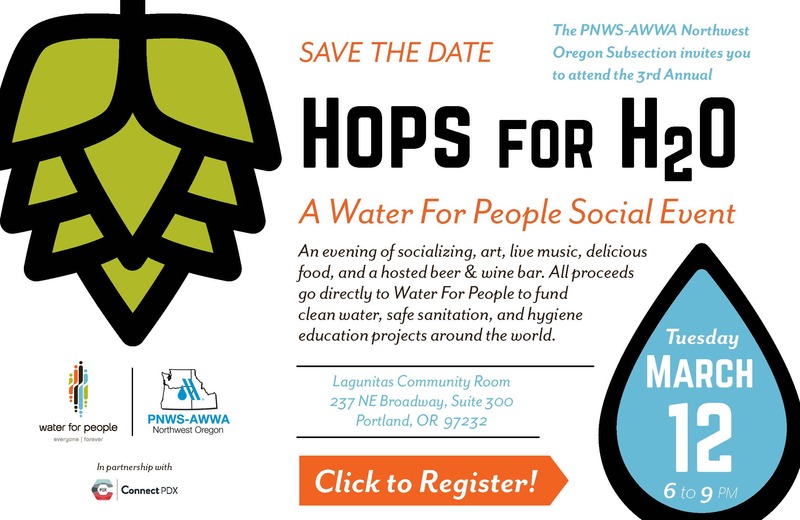 Connect PDX is proud to help the Pacific Northwest Section of the American Water Works Association (PNWS-AWWA) promote Hops For H2O: A Water for People Social Event. Join us for an evening of socializing, art, live music, delicious food, and a hosted beer & wine bar. All proceeds go directly to Water For People to fund clean water, safe sanitation, and hygiene education projects around the world. Join us at Bottles (5015 NE Fremont St, Portland, OR 97213) from 5:30 to 7:30 PM for our monthly happy hour meetup. Network and socialize with business owners and non-profits, and learn more about Connect PDX, our mission, and how you can get involved. We were excited to help Depave (www.depave.org) break up concrete at Boise-Eliot school in NE Portland and prepare the ground for permeable surfaces that reduce water run-off and support trees and other greenery. With around 100 other volunteers, we helped remove around 4,000 square feet of asphalt. Connect PDX hosted an evening of connecting and supporting the Oregon Hospice & Palliative Care Association (www.oregonhospice.org/) on Tuesday, September 4th from 6:00 to 9:00 PM at the Lagunitas Community Room (237 NE Broadway St #300, Portland, OR 97232). Guests enjoyed one complimentary beer (more were available for purchase, all proceeds benefiting the Oregon Hospice Association), hosted hors d’oeuvres, and learned more about the great work of the Oregon Hospice & Palliative Care Association. We are proud to have raised $1,177 for the OHPCA! On Saturday, June 23rd, several Connect PDX members took part in Solve Oregon’s (www.solveoregon.org) “Pick It Up, Portland” neighborhood cleanup event. We picked up trash and cigarette butts (lots and lots of cigarette butts) in the Buckman neighborhood. We donned reflective vests, carried trash pickers and plastic bags, and picked up around 45 pounds of garbage. Connect PDX arrived at Tryon Creek on a beautiful Saturday morning geared up to do battle with invasive ivy. Whether we engaged in extreme ivy pulling or a less exhausting, ivy-maintenance approach, the group enjoyed coming together as environmental stewards of Oregon’s only state park in a metropolitan area. We learned how important ivy removal is to keep the natural vegetation in place in this 650-acre day use area. March, 10th was another rewarding experience for Connect PDX professionals that network while volunteering and making a difference in the community. You can too. For more information on Tryon Creek, please visit https://tryonfriends.org/ or feel free to email us at info@connectpdx.org. Connect PDX sorted and packaged lots and lots of apples at the Oregon Food Bank on Nov. 8, 2017. The final count was 31,509 pounds of apples contributing to 26,258 meals or 337 meals per volunteer. While the hair nets and aprons didn’t make for attractive Instagram posts, the uniforms punctuated the rewarding experience these small business professionals had helping the community. Check out our schedule of volunteer events and join Connect PDX today. It’s a powerful way to network with local professionals while making a powerful impact on the community. For more information on Oregon Food Bank, please visit www.oregonfoodbank.org or email us at info@connectpdx.org.